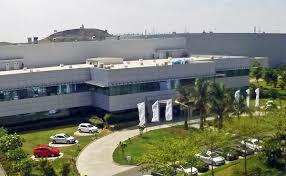 PUNE: Volkswagen opened a new research and development facility in Pune as part of the group’s ‘India 2.0’ plan that calls for a Rs 2,000-crore investment into R&D, helping enhance the local content in the cars to be sold in the world’s fastest-expanding major economy. The Pune facility is the first step in the VW group’s €1 billion (Rs 7,900 crore) commitment to make cars for the Indian market and grab a larger pie for its brands that have hitherto remained only on the fringes of the local automobile market. Inaugurated by the prime minister of Czech Republic, Andrej Babiš, the new technology centre will employ 250 engineers who will work towards achieving 95% localisation of components on vehicles developed specially for India, up from 76% currently, the company said. The local R&D base will ensure that the products are designed for the Indian market as against customising global products for the Indian buyers, something that did not motivate customers locally. “We expect to roll out the first products, for both the Skoda and the Volkswagen brands, by 2020-21, starting with a mid-sized SUV based on the MQB A0 IN platform,” said Gurpratap Boparai, who took charge as the head of the Volkswagen group in India. The MQB A0 IN is the Indian version of the global MQB A0 vehicle architecture. Until then, it is expected to be challenging for the VW Group in India, said Boparai, as the company would continue to rely on upgrades of the existing models to stay relevant in the highly competitive market. The India 2.0 project will be led by Skoda India to revive the group’s footprint in the country, which has remained sub-optimal so far with a share of less than 2% in the growing market. While the brand Volkswagen hit its lowest-ever volume in a decade in India in 2018, Skoda has become a niche player. Bringing the MQB A0 platform to India is aimed at changing the group’s fortunes with four mainstream models that include one sedan and one SUV each from both the brands. The first model, which will be a Skoda SUV, will be exhibited at the Auto Expo in Greater Noida in 2020 and is likely to hit the market in the last quarter of FY20-21. The subsequent models will follow, with a new launch every 3-6 months. According to several people in the know, the Volkswagen Group is planning for an annual volume of 1.8-1.9 lakh units on MQB A0 in 3-4 years of the launch, with an eventual goal of capturing 5% of the growing Indian market that is set to become the third largest in the world. The group is also considering exporting vehicles from India to other markets with similar needs. Last week, VW India was pulled up by the NGT for not submitting an interim deposit of Rs 100 crore with the CPCB until clarity emerges on the allegations against the company for selling polluting diesel cars in India.